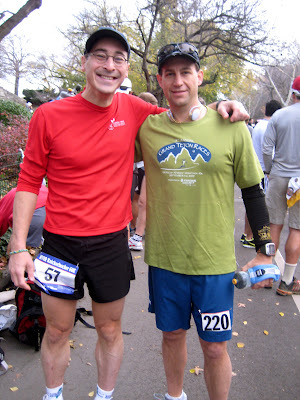 2009, my 4th year of running ultramarathons, has come and gone. It was certainly the busiest year yet, and included over 2,500 miles of running, 10 ultramarathons (4 of 100 or more miles), 4 marathons, an epic pacing experience at the Keys 100, and of course, a tremendous learning experience at the Badwater 135-Mile Ultramarathon. Here's a quick look at the year that was 2009, a year where "I could have missed the pain, but I'd have had to miss the dance." New Jersey Marathon (May 3) - On a miserable, rainy day, I paced Kristen to a 4:29:53 finish. Pacing/Crewing at the Keys 100 (May 18) - This was one of those experiences that you simply never forget. It can't be summarized in a few short sentences. 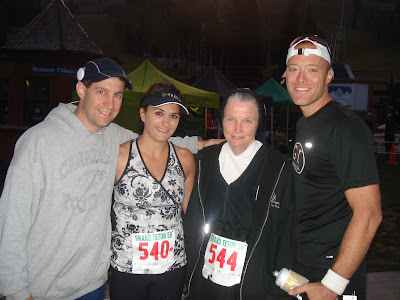 See "2009 Keys 100 Mile - The Journey of Brittni Radford" for all of the details surrounding a the group of 5 women running to raise money for AIDS Orphans Rising, including Sister Mary Beth Lloyd who was attempting to run 100 miles in her calf-length black habit. Of the 5 in the group who started, only one, Brittni Radford, would finish, but all would succeed in the ultimate goal of raising awareness and money to support hte children of AIDS Orphans Rising. Badwater 135 Mile Ultramarathon (July 13) - Some things are just too difficult to put into words. 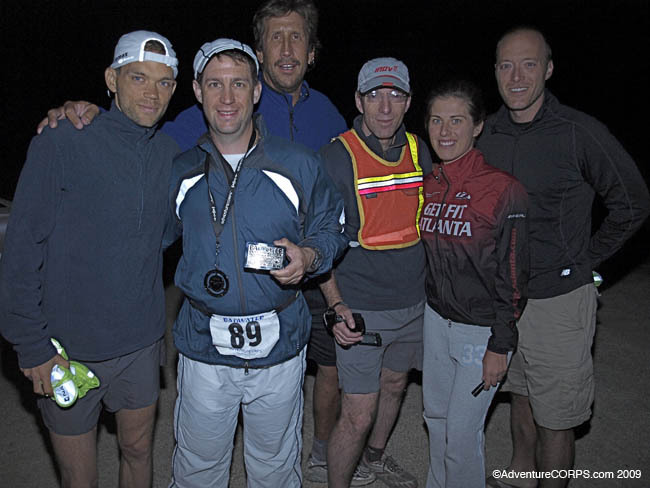 Everything you would want to know about this experience can be found at "Race Report : Badwater 135 Mile Ultramarathon". I remain forever grateful to my crew and family, Wayne Bates, Jen Vogel, Lane Vogel, Brian Krogmann and Jeff Tropple. Turkey Swamp 50k (August 19) - A nice "fun run" 50k with Wayne, I used this as an opportunity to catch up with old friends and meet some new ones. The overall time (5:48:20) was pretty dismal, and I recall wondering at times why I even decided to drive out to do this. Then again, seeing another Dave James victory was worth it. Chicago Marathon (October 11) - Why not throw in a marathon two weeks after a 50-miler? Having no plan for this one, I shocked myself with a 3:44:36 finish. Several people have remarked that 2009 was somewhat of an "epic" or "breakthrough" running/racing year for me, and maybe it was. For me, it was really a tremendous learning experience on so many levels. 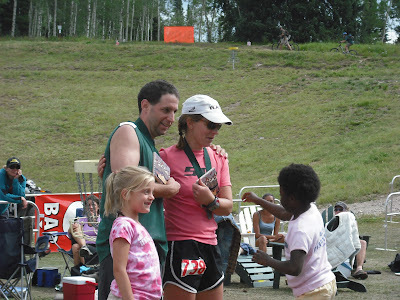 I learned a lot about myself, my family, and the true value of the friends that I have made through ultrarunning. I learned a lot about what all of this running is really about. It is not always reaching the destination that matters the most, but it is how we get there, the journey, that challenges us, tests our inner sanctum, and makes us who we are. Here's to a happy and health 2010, and success (however you may define it) to all. Great, enjoyable post! Have a great new year of running! Just a stellar year from every angle. You have a lot to be proud of, Tony...Congratulations! Here's to an even better 2010! Happy New Year!! Any year that includes a finish of Badwater has to be counted as a huge success. Congrats! Good luck in Brazil and in the rest of your 2010 adventures.